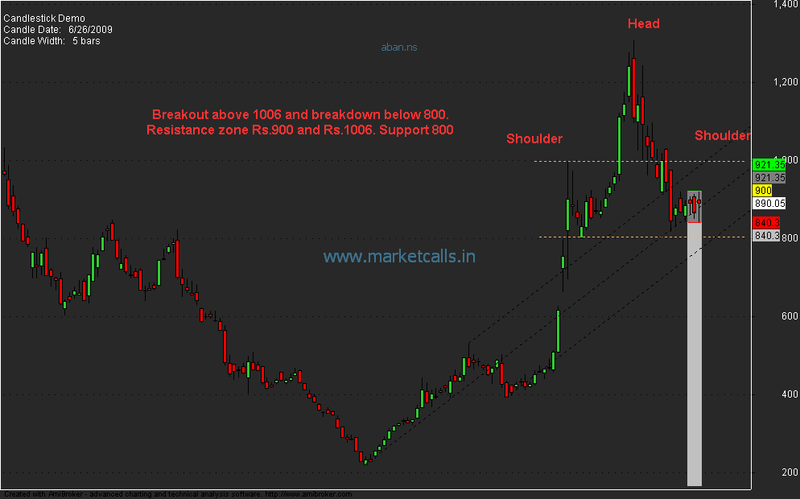 Aban Facing Resistance near 900 and 1006. Likely for form a head and shoulder pattern if resist near 1006 for a target of 500 with neckline support near 800 . However breakout above 1006 and sustainability above 1006 invites fresh buying pressure.